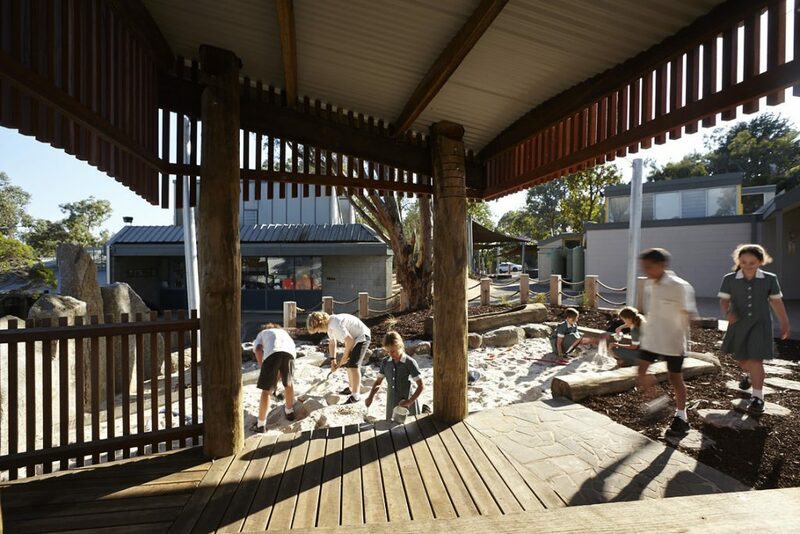 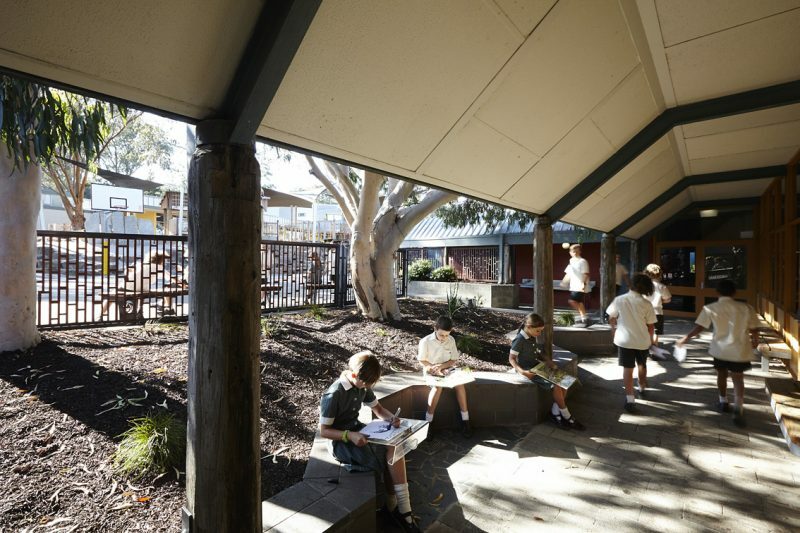 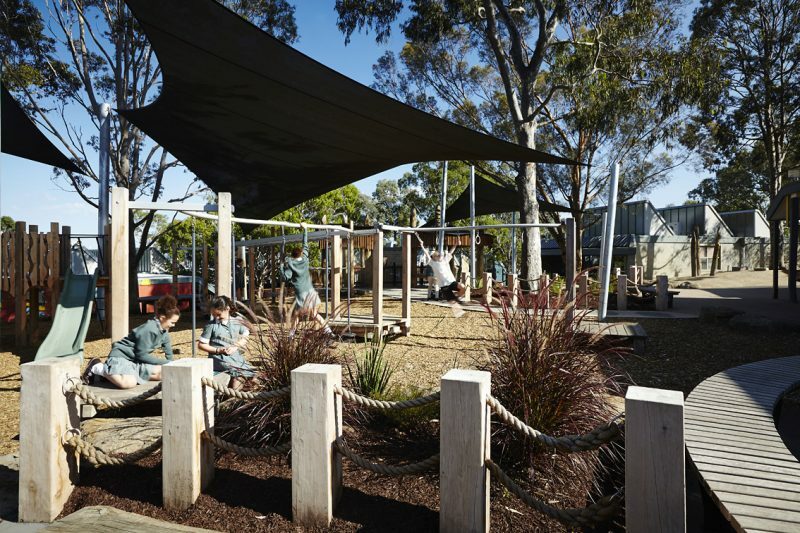 Jeavons Landscape Architects collaborated with the head of the junior school, with the staff and parents, and with the students who had initiated the project. 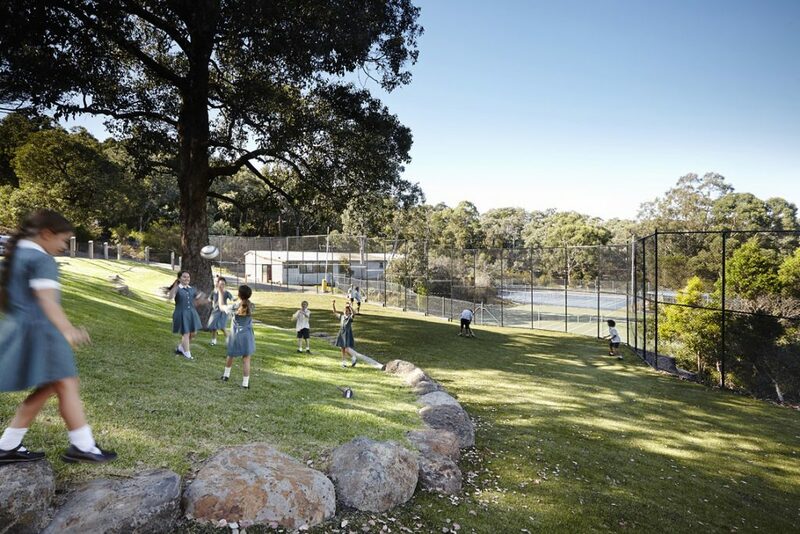 The Jeavons team spent time on guided tour with the students discussing their play activities and the kinds of spaces and the qualities they need. 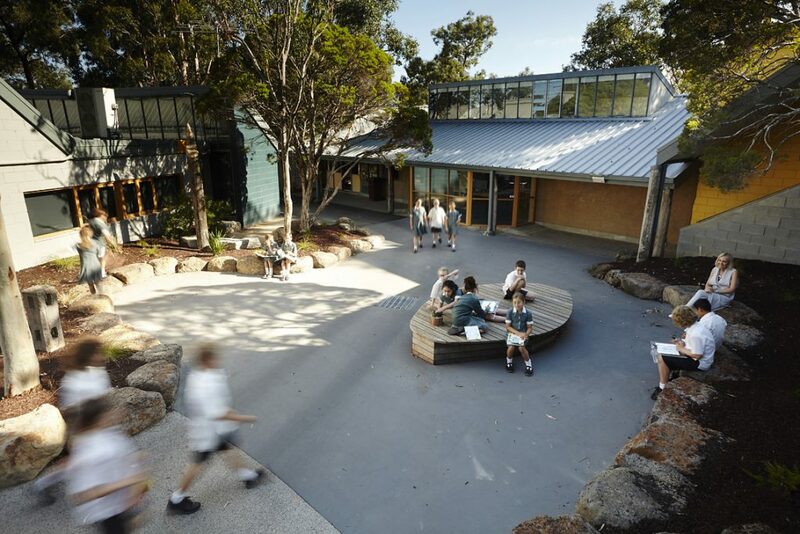 The consultation with the students and the wider school community has contributed to the success of this project. The new space provides a range of play settings for sand and nature play; digging and exploration in nature; balancing and clambering on rocks; climbing balancing and agility activities; running and bouncing ball games on hard surfaces; kicking games; social gathering spaces; and quiet spots to perch, dream and reflect. 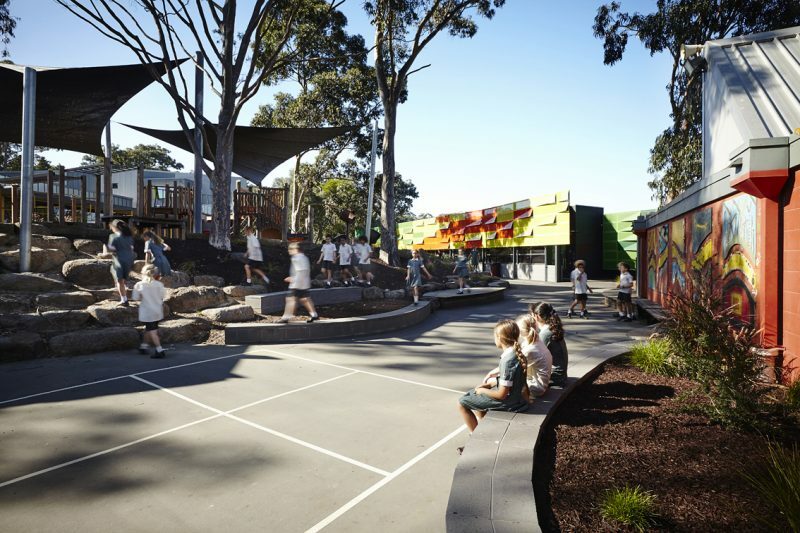 It provides a gradation of challenges for both younger and older children, and sets a distinctive character that guides visitors to the new Performing Arts Centre designed by Clarke Hopkins Clarke Architects. 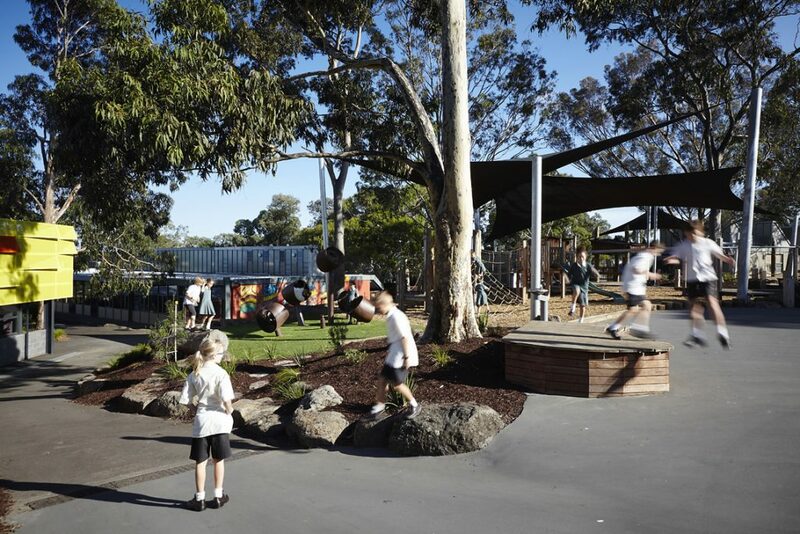 The landscape works were constructed by Naturform. 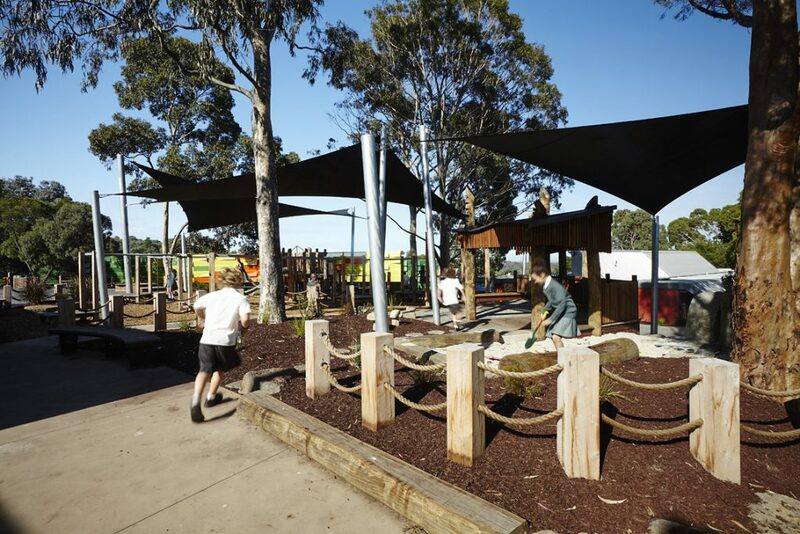 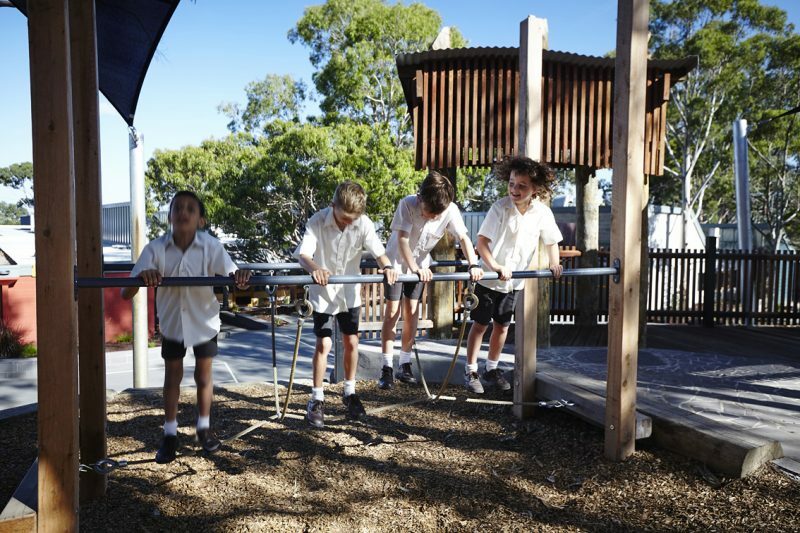 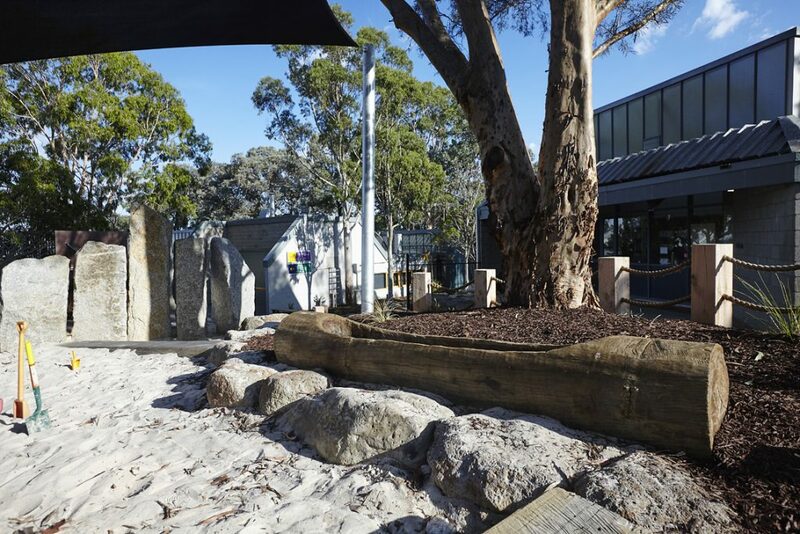 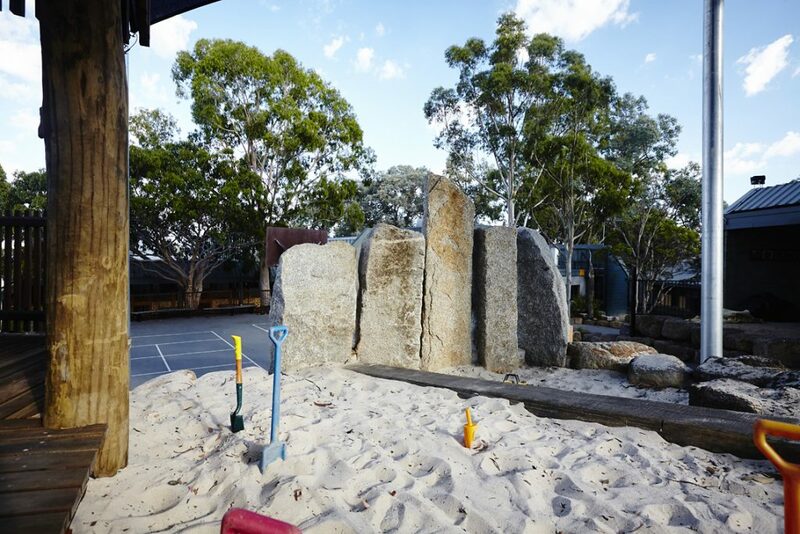 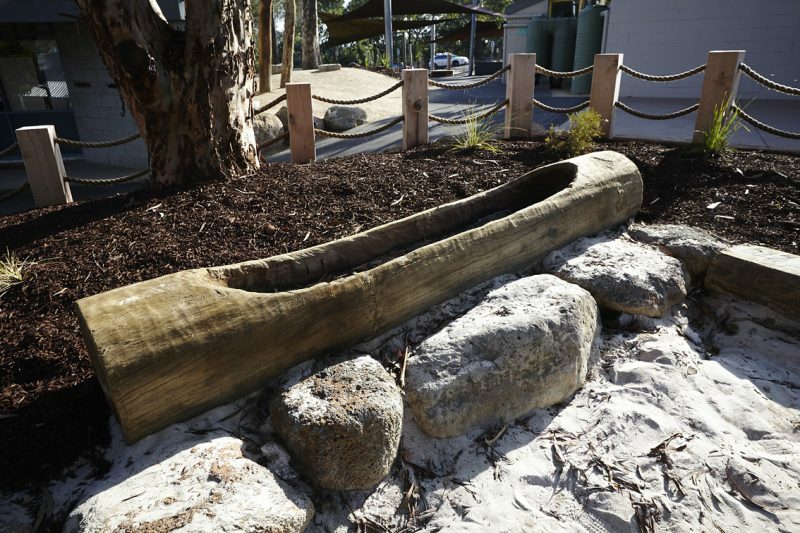 The customised timber play structures designed by Jeavons were built by Allplay Equipment Australia.